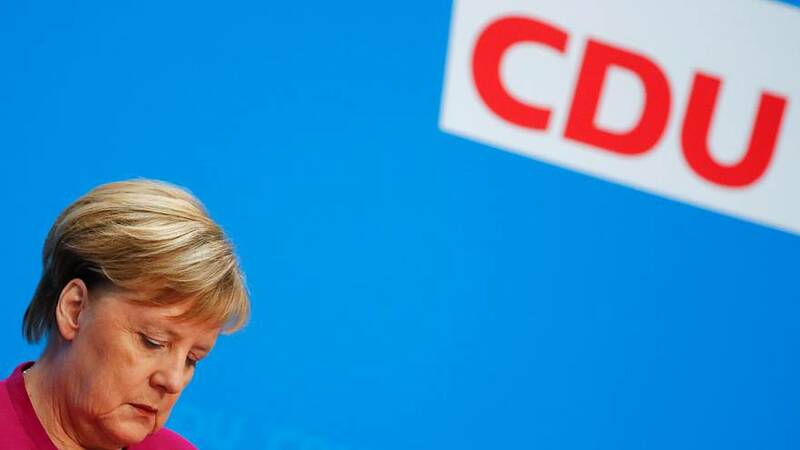 For many, Monday's announcement by Angela Merkel that she would step down as chancellor of Germany in 2021 signals the end of an era. She has been at the country's helm for 14 years and head of the CDU party for 18, but after two election defeats, the announcement is not surprising, according to Florian Eder, author of Politico's Brussels Playbook. Now, the question of who might replace "Mutti", as many Germans came to refer to Merkel, is raised. Eder said the CDU must choose in which direction it wants to take the party — more of the same, or someone who will take a different line, like health minister Jens Spahn, an outspoken Merkel critic, who announced his candidacy on Monday morning. This debate will take a few weeks, he added, and we'll only know the answer in December. You can watch our expert panel discuss Merkel's departure in the player above.